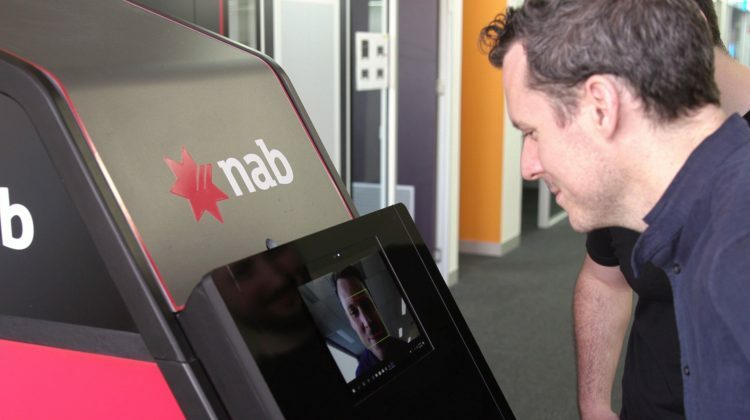 That bank card of yours may be getting the chop sooner than you think, as NAB shows off an ATM that uses your face to recognise your bank account. Digital technologies are changing everything about society, and having a major impact on how we deal with money in our lives. People are embracing using their phones for more than just checking how much money they have in their accounts, and many now pay for things actively removing the need for their wallet and card to travel with them. But we still need cash in our lives, and that means the card isn’t quite dead yet, with ATMs still reliant on our personal piece of plastic to cash out when we need 20s and 50s. And yet ATMs might not need cards for much longer, either. This week, NAB has shown off a concept that would remove the need for cards to be used at an ATM, with technology making it possible to use your face as the identifier for your account. You’d still need your PIN to login and gain access to that money, but NAB would be replacing your bank card with your face. The concept was worked on by NAB and Microsoft, which used a combination of artificial intelligence and the cloud to make the concept a reality, delivering a relatively simple yet secure approach to banking that still requires the security of a PIN to access your money. However NAB’s concept is merely that — a concept — and has been designed to test the customer experience of how an experience would work. It doesn’t store images, and following the experiment, the information will be deleted. For the moment, it’s an idea that NAB is testing, and customers have to opt-in to try it out. “Cloud technology allows us to take advantage of features and capabilities that are world-leading and enable us to deliver at pace for our customers,” said NAB Chief Technology and Operations Officer Patrick Wright.